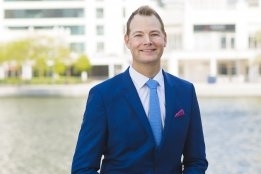 Danish bunker company Dan-Bunkering has made an internal promotion at its Dubai office. Bunker trader Soren Emil Dam has took up the position of bunker trader and team leader from the start of this month, the company said. Danish national Dam joined the company in 2013 moving to Dubai a year later. "I look forward to the new challenges and to expand my role within our group," Dam said.